To know my 5-year old is to love him. In our family, he's the life of the party. We'll probably have to worry about that more later on, but right now he's all about squawking loud noises, confetti and dancing around like a lunatic basically having a good time. 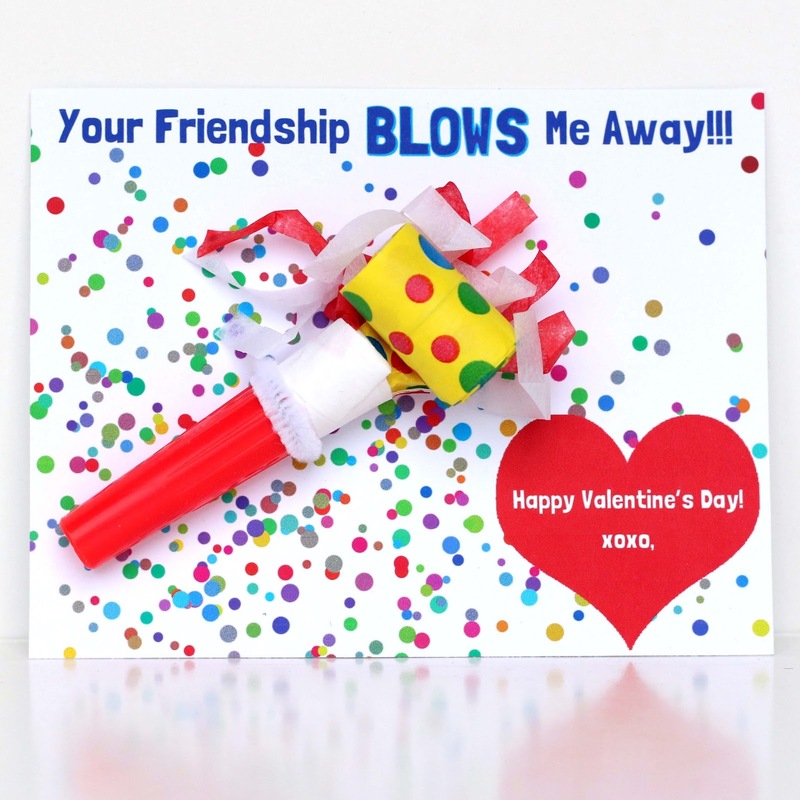 So Party Blower Valentines are not only apropos, but kind of necessary. 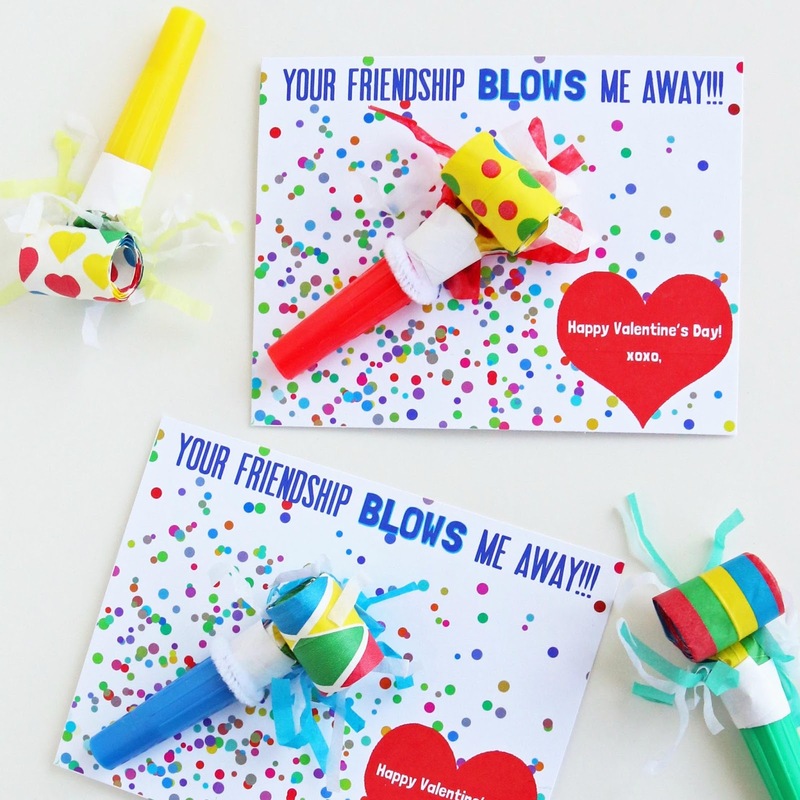 Party Blowers** - I used these ones. These are also cute. ** Just a note on the party blowers. Most are cheap, party supply stuff. Some "horns" may not work. I'm perfectly okay with that and I'm sure most parents (and the teachers!) will be happy if the horn doesn't honk. Trust me when I say that the sound is very annoying. The paper part still works and that's fun enough! Also, to be safe, I ordered more than necessary. Sure enough there were a few that didn't meet my quality control, so the boys have a few extra to play with. 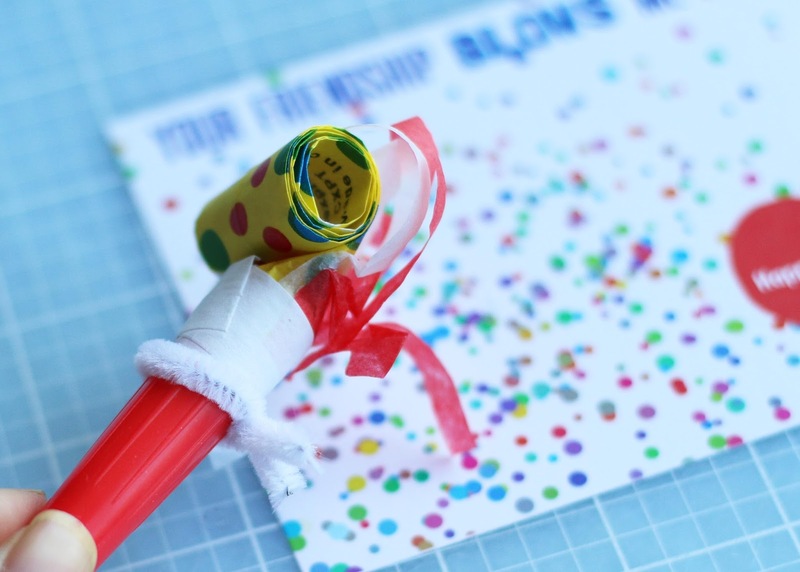 Print out the Party Blower Printable and cut out the cards. I used a paper cutter. 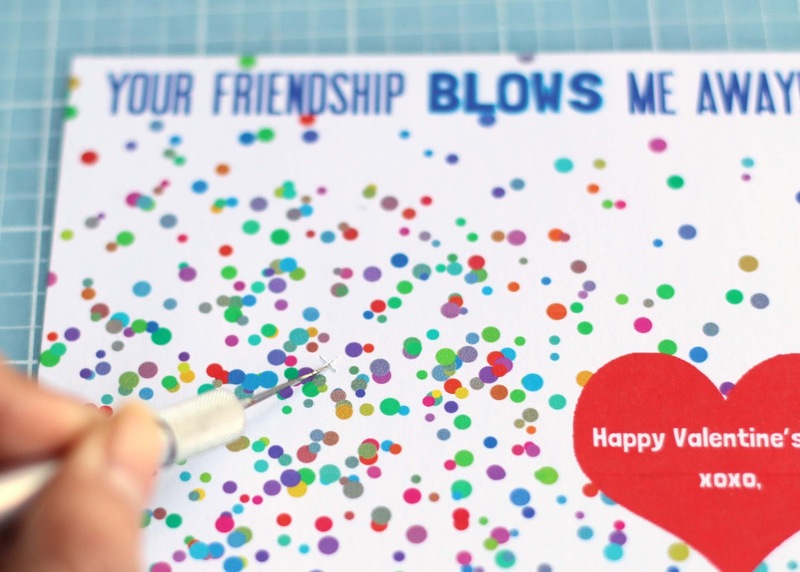 You may want to have your child sign the card now before the party blower is attached. Position the party blower on the card for correct placement, and note where the center of the blower sits. Use the exacto knife and cut a small X in that same spot. This is where the pipe cleaner will poke through (mine happens to be in a small space between two purple dots). 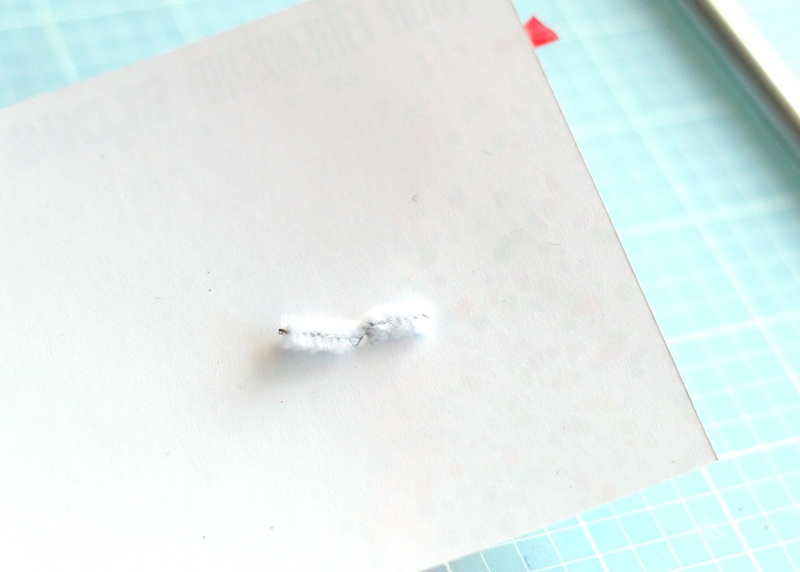 Cut the pipe cleaner into 3-inch pieces. 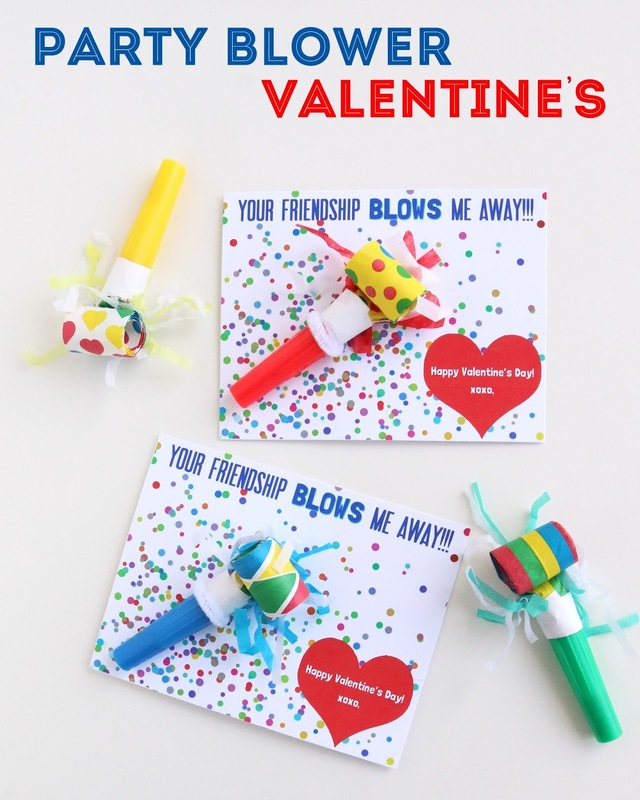 Wrap the pipe cleaner around the middle of the party blower, twist the ends together once and stick the ends into the incision on the card. Separate the two ends of the pipe cleaner to hold the party blower in place. And you're done!